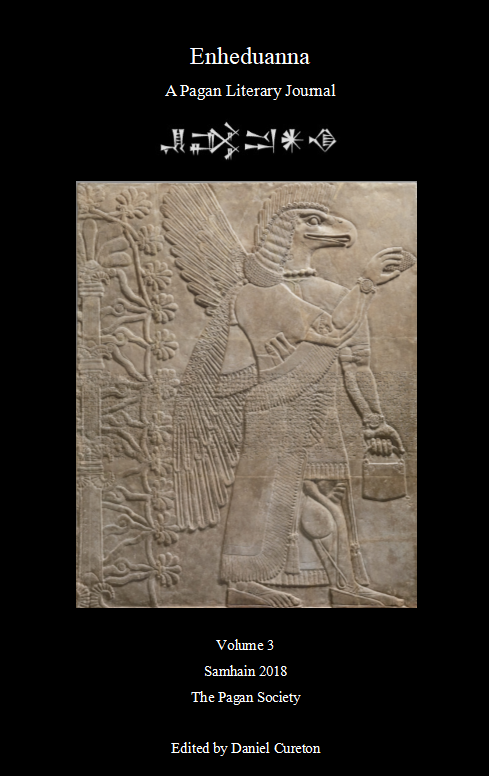 Vol 3 of Enheduanna contains authors from many Pagan traditions living across the world. Vol 3 features critical essays on The Charge of the Goddess by Doreen Valliente, Beserkergang, and poetry detailing the black Bahamian narrative. With poetry, book reviews, short stories, essays, and memoirs this issue continues the four-part series of the memoir of a gay activist fae who was at the 20th anniversary of the the Stonewall Riots in New York City in 1989.